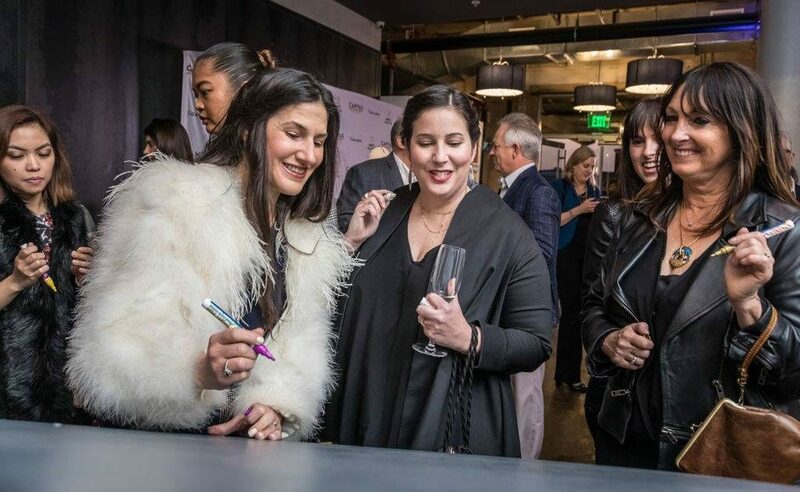 CANVAS Hotel Dallas hosted a grand opening party February 28, inviting guests to draw on its walls. The art-centric destination hotel in Dallas’ trendy Cedars South Side area especially embraces local artists. Many of their works of art adorn CANVAS walls, along with a few carefully selected pieces from nationally and internationally known artists. In partnership with SEMOSMAULDIN Art Consultancy, the hotel displays 20 rotating works of art throughout the hotel. Three initial permanent pieces grab attention in the first level lobby lounge, while The Gallery Rooftop Lounge also displays intriguing works of art curated by MK Semos and Jen Mauldin. Working with Studio 11 Design, the refreshed environs include a substantial collection of inspiring contemporary works curated by MK Semos and Jen Mauldin. Partners in the hospitality-focused SEMOSMAULDIN art consultancy, they are known for their facility in balancing aesthetics and scale, as well as their expertise in selecting works from both international and local artists that add meaning to each space. For CANVAS, SEMOSMAULDIN has curated well-known ﬁgures in the Dallas art community and beyond to reﬂect what is unique about both the city and the site itself. Permanent works include Haylee Ryan’s story-based work Female Bust with Floral Headpiece, a Sister Studio collaboration inspired by the natural beauty of a ﬂoral artist’s uncommon arrangements, as well as Hugo G. Urrutia’s textural work Grand Paradiso, oil lacquer on carved Baltic birch. 20 rotating works from other local artists, including Kyle Steed, Riley Holloway, Danny Joe Rose III, Kartel, Michele Mikesell, Courtney Miles, Sara Cardona, Lori Fox, Derek Nemunaitis, Ann Chisholm, and Jeremy Biggers, will be on view through April 30, with future exhibitions to occur in the coming months. An artist reception is slated for April 12 from 6-9 p.m. Come enjoy light snacks and a glass of wine or specialty cocktail at CANVAS Dallas Hotel at 1325 S. Lamar Street in Dallas. 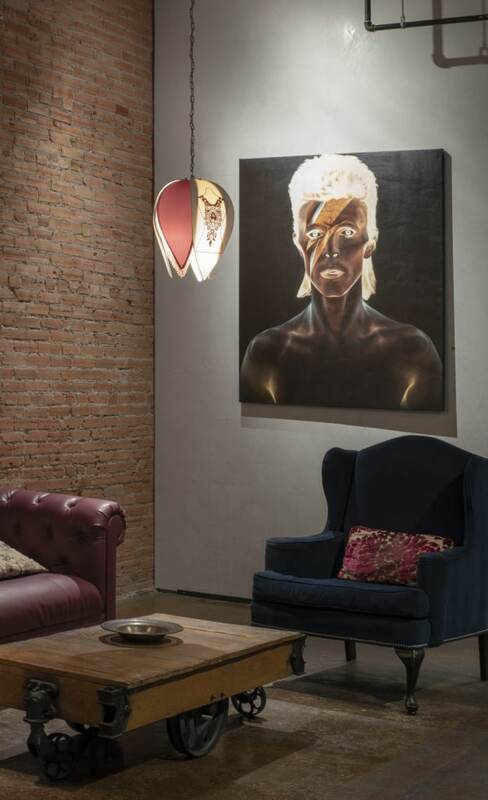 A full-service art consultancy specializing in the hospitality sector, SEMOSMAULDIN was founded by accomplished gallerist MK Semos and award-winning interior designer Jen Mauldin. Connected worldwide to an unparalleled network of galleries, artists, artisans, and craftspeople skilled in every medium and scale, SEMOSMAULDIN transforms any space through the addition of art.Working in tandem with builders, architects, and designers, SEMOSMAULDIN serves the art consulting needs of the hospitality sector with a creative eye. In their adept hands, art is not only an essential element of hospitality, commercial space or private home but part of a design solution that elevates and inspires each person who experiences it. A contemporary art dealer with over 20 years of experience in the industry, MK Semos was born and raised in Oak Cliff. Growing up, she learned the ins and outs of the hospitality business while working in her family’s landmark Greek restaurant, The Torch. After earning her degree in photographic journalism at the University of Texas in Austin, she moved to New York in the mid-90s. There she launched a gallery space in the East Village to show her work alongside other emerging photographers. Semos eventually returned to Dallas in 2006, where she met her husband, the founder of Oak Cliff’s Decorazon (“From the Heart”) Gallery. Together, they expanded Decorazon’s innovative programming to London in 2011, while establishing a presence in some of the world’s most notable art fairs, including the London Art Fair, Scope Miami, and various locations of the Affordable Art Fair. Through her work and as a board member of the Association of Women Art Dealers (AWAD) Semos caters to an international clientele. She brings her Rolodex of artists across the globe and sophisticated aesthetic to her work with SEMOSMAULDIN. “I am very happy to be back in Dallas discovering and reconnecting with amazing local talent for this project. 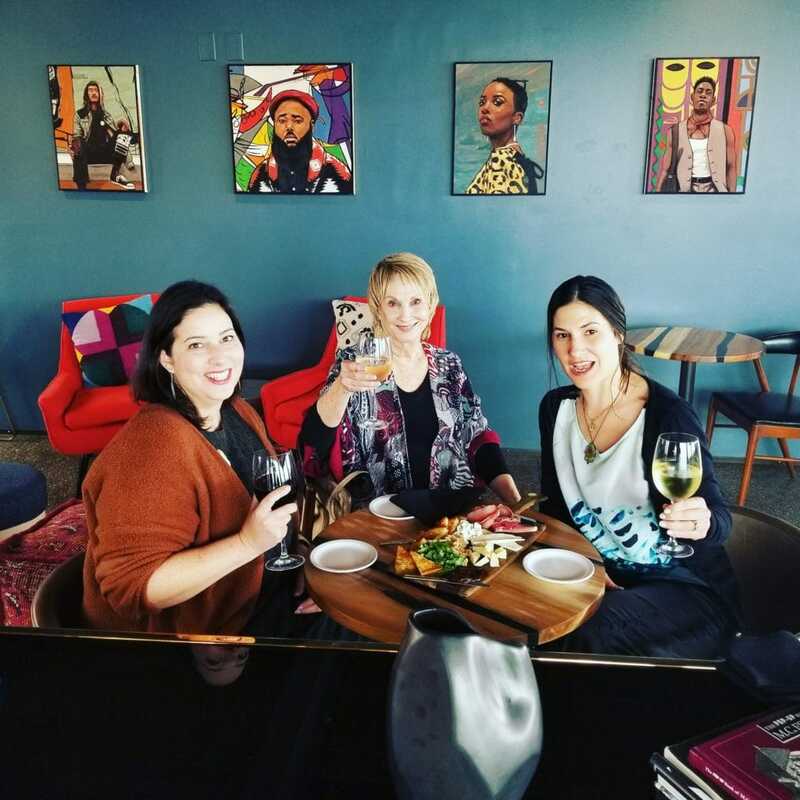 After a few years of working primarily with other artists abroad, it is great to have the opportunity to work and showcase local creative talent, in such a visionary setting as the CANVAS Hotel,” Semos said. Award-winning interior designer Jen Mauldin’s impeccable eye for transforming spaces has led her to expand her vision to the art world. A Dallas native, Mauldin grew up exploring the renowned museums and art institutions throughout Texas, broadening her view to Europe through her international studies in Art and Architecture. After graduating from Texas A&M with a degree in environmental design, she spent ten years with the internationally renowned hospitality design firm Wilson Associates, curating art as she developed the interiors for luxury resorts, casinos and private homes across the globe. In 2012, Mauldin opened her own company, refining her depth of design practice with projects across North America. In 2017, she launched her eponymous brick and mortar gallery in Bishop Arts District of Dallas, giving a platform to the unique visions of emerging and established local artists. A member of ASID and NEWH, she continues to create inspirational solutions for her clients while serving as a liaison between artists and architects with her role in SEMOSMAULDIN. 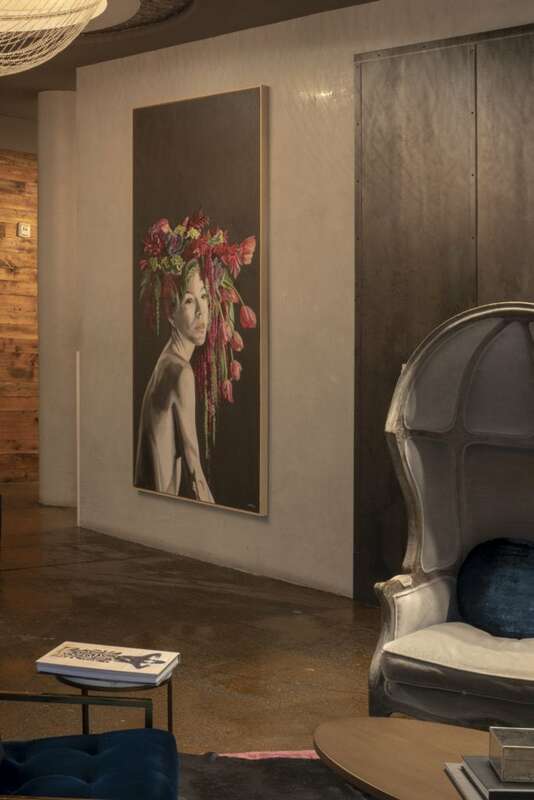 The art pieces at CANVAS are just one of the ways the newly opened CANVAS hotel brings creativity to the Dallas hospitality scene. 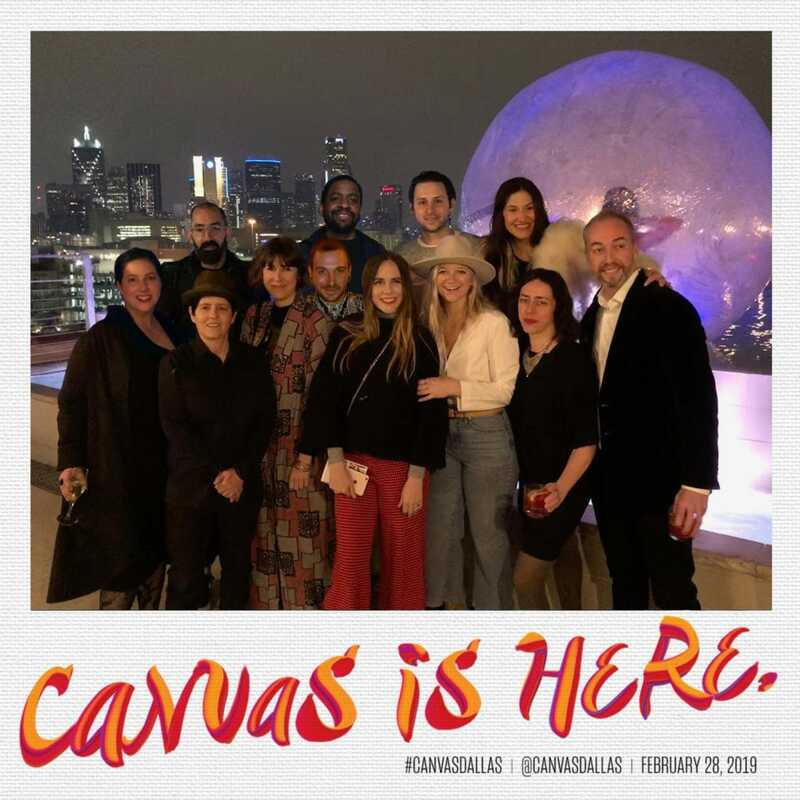 CANVAS Hotel Dallas is an art-centric home base for modern trendsetters, an inspirational hub for relentless artisans, and a destination for locals to be creatively inspired while enjoying world-class dining and unparalleled skyline views. 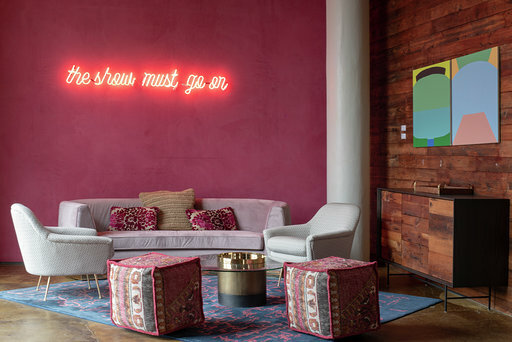 CANVAS Hotel Dallas is an art-centric destination for modern trendsetters and an inspirational home base for the local creative. The hotel is a blank slate for guests to create their own experiences, from world-class dining at restaurant Chef’s Palette, to unparalleled skyline views from The Gallery Rooftop Lounge and curated art from local gallerists, SEMOSMAULDIN Bespoke Art Consultancy. With 76 art-infused suites and guestrooms, and more than 7,000 sq. ft. of inspiring meeting space on the lobby level or rooftop. CANVAS Hotel Dallas offers an authentic-yet-unconventional Lone Star State adventure. The hotel is managed by INTRIGUE Hotels & Resorts, the independent lifestyle division of Interstate Hotels & Resorts, a global leader in third-party hotel management. For more information visit CANVAShoteldallas.com. 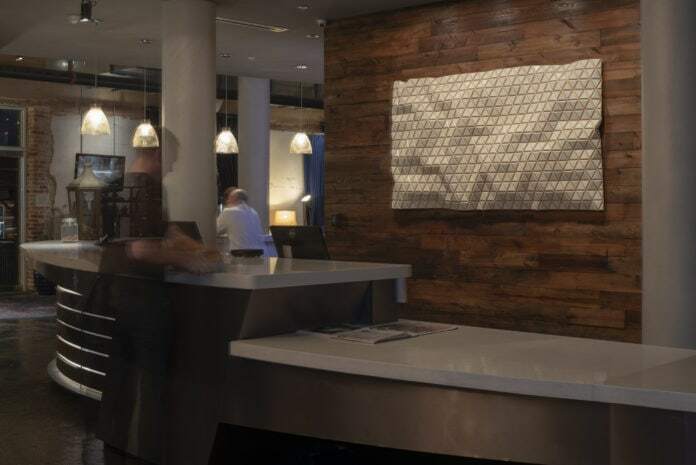 CANVAS Hotel Dallas was developed by Matthews Southwest (MSW) who is a joint venture owner. MSW is a full-service Texas based private real-estate-development company with offices in Dallas; Calgary, Alberta; and Mississauga, Ontario.